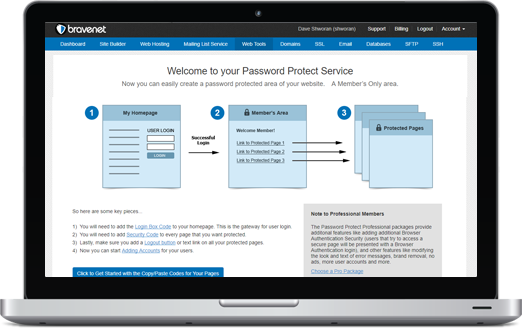 Protect your Web Pages for FREE! Only three easy steps to add code to your site and get your Password Protect service running. Then only approved people can access certain areas of your site. Adding, Modifying and Deleting user accounts is very simple. 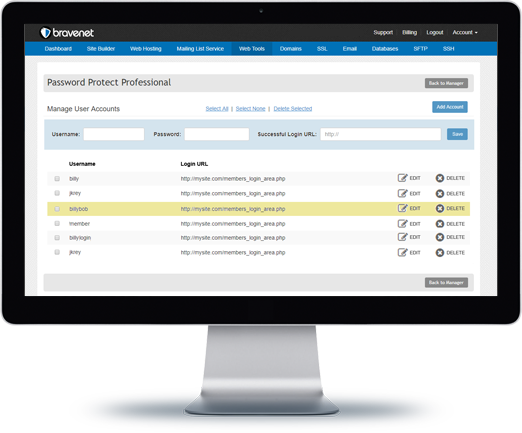 Users are provided login credentials to access your private areas. Monitor which users are logging in the most and those that are not. It is handy to keep track of users that are really active and those that are dormant. 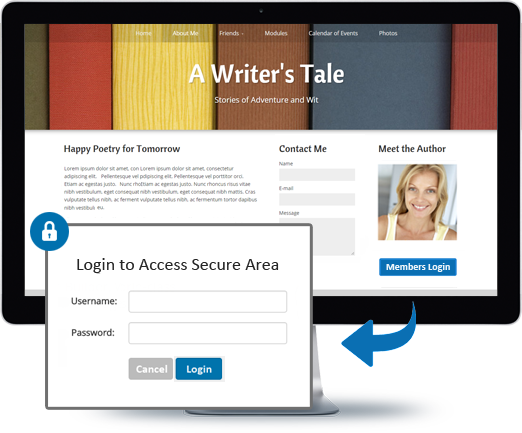 User authentication is done at the back-end server level, so passwords are secure. 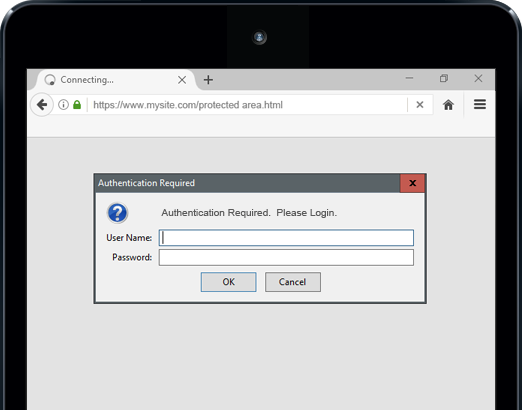 In addition, browser-based authentication can be enabled as an alternative to an on-site login form. Now that's pretty fancy. It's so easy to restrict access to special areas of your website. 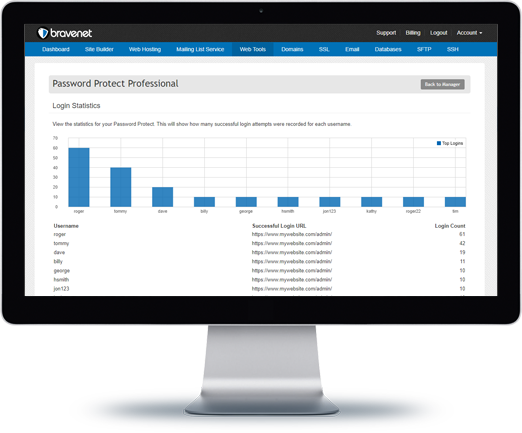 Get Password Protect. It's FREE!